Hi everyone, today we are celebrating Suzy's (So Suzy Stamps) birthday with a surprise blog hop today. 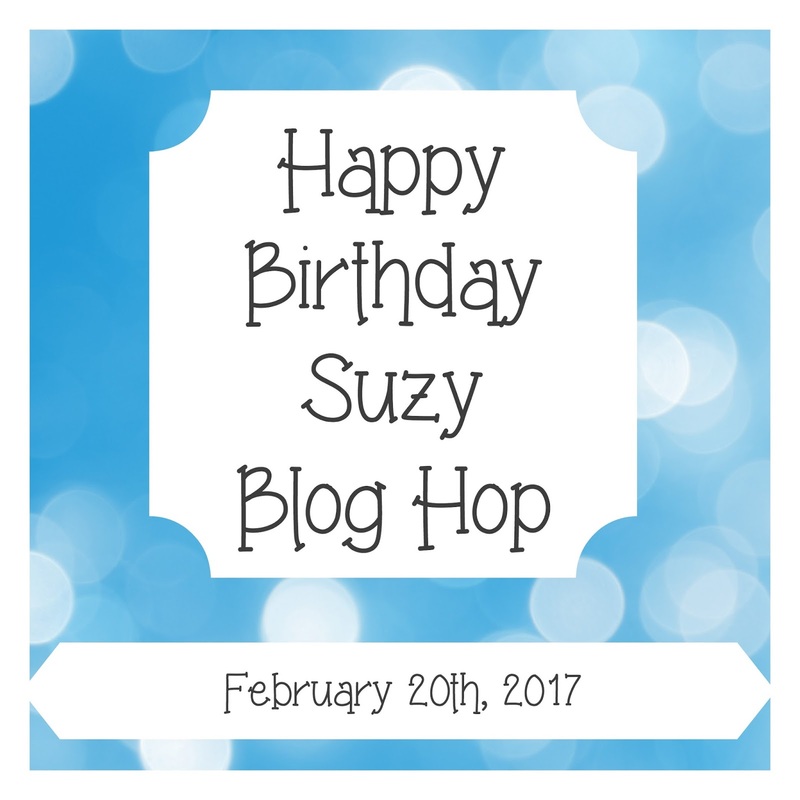 As a member of the original So Suzy design team, I am so happy to be participating in wishing Suzy a Happy Birthday. 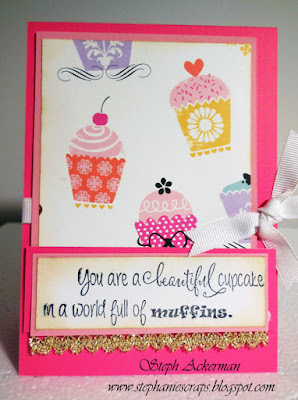 I'm using the Beautiful Cupcake sentiment - one of the first stamps I got from Suzy and it is still one of my favorites. 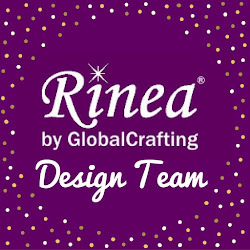 It works with so many other stamps as well as assorted pattern papers. 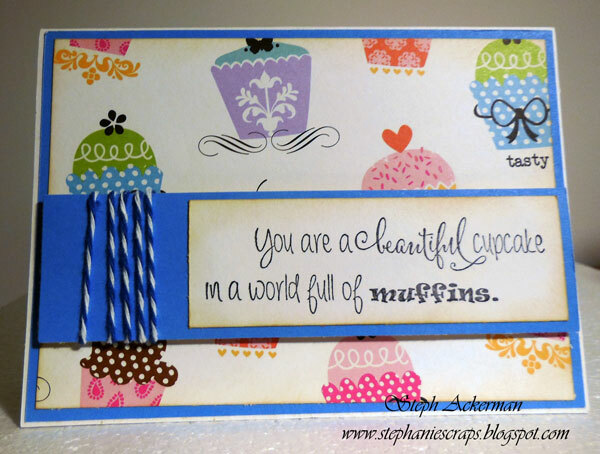 I had this lovely cupcake paper and knew the phrase would be a perfect fit. Since I wasn't sure if Suzy would like a pink or a blue card, I decided to make one of each! I just changed the orientation of each card. Happy Birthday Suzy. I hope you have a wonderful day my friend. 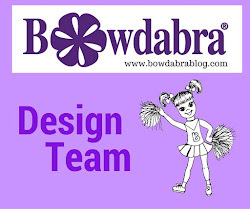 There are prizes to be won, so be sure to visit everyone's blog. 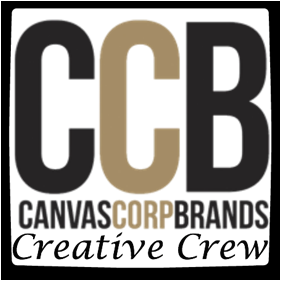 Remember to comment on each post in order to be eligible for the prizes. Happy Birthday Suzanne! Really sweet cupcake card. Such a cute birthday card...and the cupcake paper is perfect! Such a sweet sweet card!! superb work!! love it :) here is wishing suzy a happy birthday ! 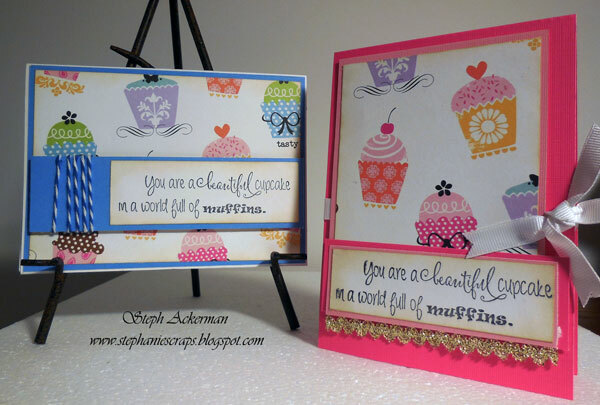 Your cupcake cards are so cute! I think she will love both cards. Oh my gosh... this is the perfect greeting and who doesn't love a cupcake? Absolutely love your card. Adorable cards and such fun colors! Cute card. Love the cupcakes. What a fun and colorful card!! Love these cards and that cupcake paper is definitely perfect for these!!! Thank you so much for this fabulous surprise, Steph!!! You are frikken amazing!!! Happy Birthday my friend. Hope your day is wonderful. Love the cupcake paper and the sentiment! Fun cards! Happy Birthday to Suzy! for the birthday card you receive. 😂😂😂 good eay to use those snarky stamps for the snarky queen! How fun are these cupcakes and the sentiment: awesome! A perfect card for Susy! How sweet all of you are to celebrate her birthday with this marvelous hop; I'm sure she'll be blown away by these expressions of love! These cards are so sweet. I love the sentiment. Love these cards, and OMG I LOVE this sentiment. A wonderful job Steph! Oh my!!! Both your cards are simply adorable!!! Too cute!!! Great cards! Love the beautiful cupcakes so pretty and fun. Happy birthday Suzy! Adorable! I love your cards! Happy Birthday Suzy! Cards so very cute! Love the cupcakes! I think the blue is my favorite, but that's also my favorite color. Great cupcake cards. Happy Birthday, Suzy. Happy birthday Suzy! Love the sentiment on this cute card! Adorable cards! I love that saying! Wow, I love what you created and Happy Birthday to Suzy!!!! Wonderful cards using this fabulous sentiment. Happy Birthday to Suzy! Great job Steph, this card brings a big smile to my face! These are so cute! Happy birthday Suzy! That is an adorable stamp set!! Very pretty card! I LOVE new birthday card ideas. So cute! I love the pink and the blue and all the cupcakes. Suzy will LOVE it! Happy Birthday Suzy! Darling card! Happy Bday, Suzy! You must be a cupcake queen! These look good enough to eat! Super cute cards. Love the sentiment. Thank you for sharing your ideas. This is such a happy card. Adorable card...thanks so much for sharing!! Oh, those cupcakes are amazing! Love the different patterns and colors. So cheerful. Happy birthday to Suzy. Very cute card. Love the sentiment. Aghhh! Cupcakes scream happy bday!!! Happy Birthday. Cute card, cupcakes and all! Love the card, the sentiment is perfect! An adorable card for a sweet lady! Cute cupcakes! Happy birthday, Suzy!